The 2018 elections were a gigantic Blue Wave for Democrats -- BUT Republicans did EVERYTHING they could to suppress Voter Turnout! They know that when Voter Turnout is high, Democrats win! Luckily, Nancy Pelosi JUST announced that Automatic Voter Registration will be Democrats&apos; FIRST bill in the new Congress. But Mitch McConnell is determined to crush our dreams. He even said the bill is "not going to go anywhere in the Senate." WHAT. A. DISGRACE! It&apos;s time to build massive grassroots support so Congress has NO CHOICE but to act fast and pass Automatic Voter Registration. Democrats, we need you to step up -- Automatic Voter Registration is CRITICAL to our democracy. 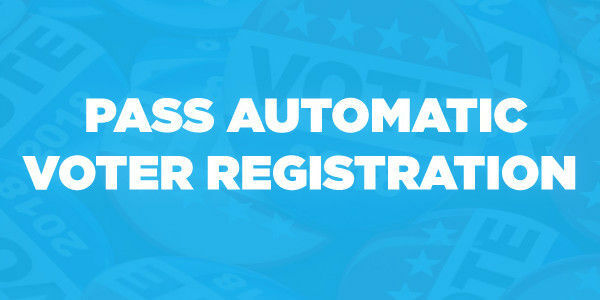 If you care about the future of our elections, please sign the petition and DEMAND Congress pass Automatic Voter Registration immediately!